If you love picture books, you’ve probably read one or two from Amy Krouse Rosenthal. She’s written a ton — well — more than 20. And her books are universally lovely. Often funny. Always moving. Deceptively simple. Amy has been in the news twice recently. First, when an essay she wrote for the Modern Love feature in the New York Times went viral a few weeks ago. It was called “You May Want to Marry My Husband,” and she wrote it when she was dying of ovarian cancer. Then again, when she died on Monday at age 51. When I read Amy’s essay and learned of her diagnosis, I reserved all her books from the library and held a reading fest in her honor. I’d read most of the books before and happily revisited the wonders of LITTLE PEA, CHOPSTICKS, THAT’S ME LOVING YOU, and DUCK, RABBIT. 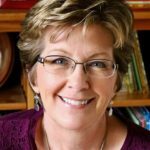 How good are Amy’s books? When I read LITTLE PEA out loud to my 14-year-old daughter and my 54-year-old husband, we all laughed out loud. Amy uses puns and double meanings a lot in her books. This title has two meanings. The usual one — to give someone a kiss — and the unexpected one — to actually plant a kiss in the ground, like a seed. That’s what the character does in the story, with glorious results. Amy’s words didn’t have anything to do with this, but there’s glitter on the cover and throughout the book. And it’s perfect. While I’m sure this was an illustrator / art director decision, it ties in with Amy’s personality. I never met her, but from videos and TED Talks I’ve watched, she totally sparkled. If you’re interested in having an Amy Krouse Rosenthal lovefest — and I absolutely think you should — I’d suggest reading all her picture books as well as her adult books. Her most recent adult offering is TEXTBOOK AMY KROUSE ROSENTHAL: NOT EXACTLY A MEMOIR. It’s a delightful read that I liked so much I gave it to my mom. And then my sister read it. When you’re done with all Amy’s books, you can move on to Amy’s short videos, which are almost performance art. If you absorb all of Amy’s work I can almost guarantee that you’ll come away inspired to create more and better art yourself — which is probably the best way to honor Amy’s memory. Oh, and there’s a winner! And, hey! 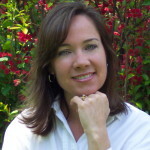 Remember back when Suzanne Slade offered an autographed copy of OUT OF SCHOOL AND INTO NATURE: THE ANNA COMSTOCK STORY? Well, the winner is Hilary Sharrar. Hilary — If you contact Suzanne through her website, she’ll mail you the book. Amy Krouse Rosenthal, Pat Zietlow Miller, Peter Reynolds, picture books. Bookmark. This is a lovely tribute, Pat. I’ve been watching her TED talks myself and wishing I’d known her. <3 Going off to be inspired by Plant a Kiss. Lovely tribute to Amy! I enjoy her books and need to read more! Thanks, Pat! Thank you for this, Pat! That’s exactly what I’m going to do. So sad that she’s gone :(. Well, Jill and Tina said exactly what I planned to say. It’s a beautiful tribute, Pat, to an extraordinary creative spirit. I’ve had TEXTBOOK on hold at the library, and will be revisiting Amy’s picture books. Thanks for this. Our world has been diminished because she is gone, but her words live on. I have just reserved TEXTBOOK and have a few PBs of Amy’s on my stack for this week. TY for this post. In today’s world we must love fiercely! Thanks so much for this lovely tribute. I had read Encyclopedia of an Ordinary Life before I knew that Amy also wrote picture books, so about a year ago I requested her pb’s from the library and binge read them, also Textbook. but I didn’t know about the videos and Ted talks, so guess what’s next. What a lovely legacy she left! What a wonderful tribute to this amazing and talented author. I love her books. They indeed sparkle just like her! Loss of such a bright light and giving spirit. This world needs more Amys. What a lovely tribute. I wish us more of Amy. Thank you. Thanks for this lovely post, Pat. I love Amy’s books and the way she lived her life is inspiring. I will definitely have a love fest. There are some books I haven’t read yet. Thank you so much for this. I am going to have an Amy Kraus Rosenthal reading fest. Signing onto my library account right now! This is a beautiful tribute. I also recently reserved many of her books and have enjoyed reading them. She is such an inspiration. 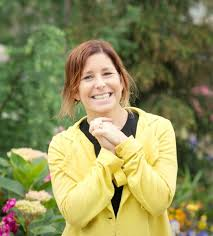 Truly inspirational–that’s Amy Krouse Rosenthal. May her memory live on through the many words she wrote. Thank you, Pat, for sharing the love of AKR. This really is as inspirational as Ame has always been. Her wish for more is what we truly wished we had of her. I really lost sleep the night I heard the news. Sad that such a vibrant spirit with so much to contribute to this community had to leave too soon. I’m going to order copies of “Chopsticks” and “Spoon” to have on our shelf forever, in honor of her. A love fest with Amy’s books–a perfect tribute, Pat. Thank you. A lovely tribute to Amy. I want to delve into all of her work. She is so inspiring. Love the love fest! And yes, going to the library and rereading Amy’s words seems like a perfect idea. Thanks so much for this lovely tribute. I plan to reread all of Amy’s books. May we all find our inner AMY! Thanks for this tribute. Such a lovely tribute to Amy. Now we have an angel in heaven watching over us writers. RIP AKR – the world lost a gem. Thanks for this lovely tribute to her brilliance, Pat. Lovely words for a lovely person. Great tribute Pat. Thank you, Pat, for this lovely tribute and invitation. Amy left a legacy of love, for which I am grateful. Another beautiful tribute. I will add more of her books to my reading pile. I think it would be great to start sending notes to authors whose books touch us. We can do this in her memory. I suppose we can send to a publisher for them to forward. I loved this tribute to Amy. Thank you for these great observations. What a beautiful tribute. Makes me wish I had met her. But I can still share her lovely books and learn from her economy of words. Thank you for this tribute, Pat. I need to have an Amy Lovefest! I’ve read her books, but haven’t watched the videos. So sad about her passing, but grateful that there are little bits of her that will live on. 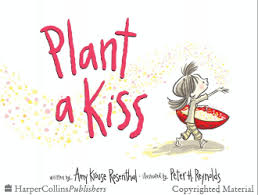 AKR is one of my favorite authors and Plant A Kiss is one of my favorite books. I chose that as one to read to my youngest son’s class on Valentine’s Day and to send to someone recently — all before I even knew AKR was ill. The love an kindness that “Little Miss” spreads in the book mimics the love and kindness AKR spread in her lifetime (or so I am learning more and more recently). And I’m sure her books will continue to inspire others for generations to come. What a lovely way to honor AKR. I too will be having a feast of her work. What a great idea. Thank you so much for sharing this. What a wonderful (and tear-inducing) post! We have been sharing Amy’s books with anyone who will listen at the library. Will miss her lovely voice in the book world! What a wonderful post Pat! I met Amy many years ago when we both read on the Children’s Lit Stage at Printers Row. I was so honored to read after her. She’s a tough act to follow! Thanks for the tribute, Pat. I too have been having an Amy reading fest! I love her books and have read them many times through the years and revisiting them now has reminded me of why I keep going back to them So much to learn! Thank your for this wonderful tribute to Amy, Pat! What wonderful thoughts not only to honor her memory, but to be inspired by her work and who she was as a person. This is really sweet and touching, Pat — thank you so much for the beautiful memorial here.